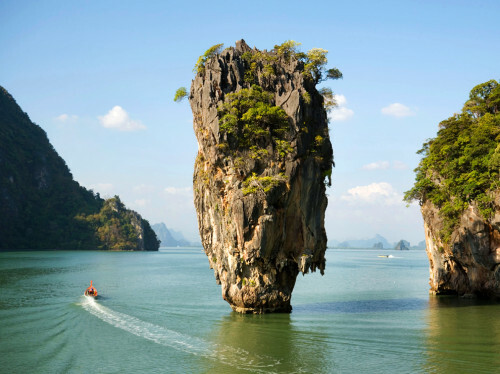 Cheap flights to Thailand: Bangkok from Prague for €449! China Southern now offers cheap flights to Thailand from the Czech Republic. Multicity flights Prague – Bangkok – Vienna are available for only €449! Student Agency runs buses from Vienna airport straight to Prague. There are 2 short transfers on your way to Thai paradise in Amsterdam and Guangzhou. Travel dates are perfect, including main season: until end of March 2015. 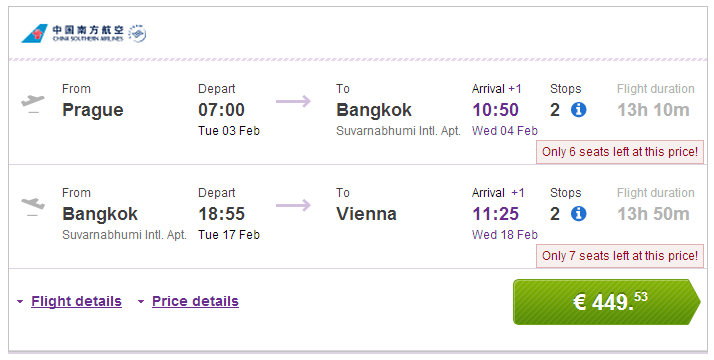 Book via BudgetAir (click on Show extra search options to enter return to Vienna). « Super cheap flights to UK: Prague-London for €38!